From May 24-27, DPI held a comparative study visit (CSV) in Oslo, Norway, to discuss ways to engage with the general public to encourage and enhance their support for resolution processes. Drawing on comparative practice, the event provided a platform for former members of Turkey’s Wise Peoples Committee (WPC) – set up by then Prime Minister Erdoğan in 2013 and tasked with raising public awareness and understanding of the resolution process – to explore different models of engagement. 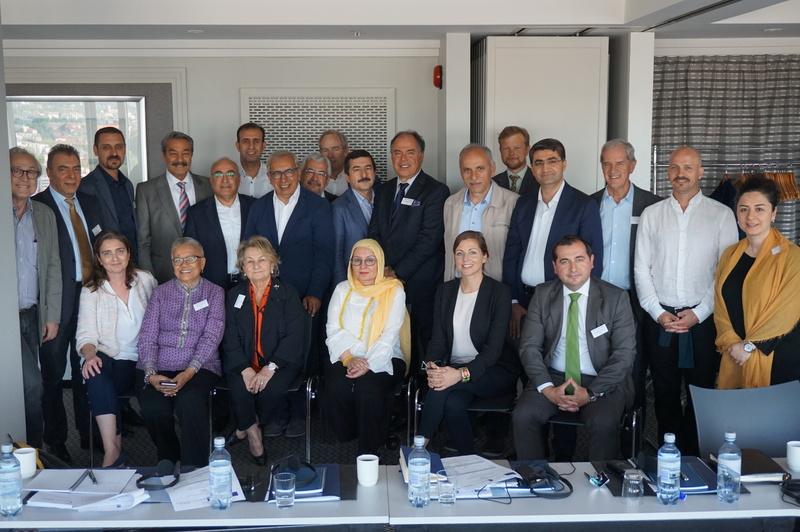 Participants included intellectuals and public figures from a range of political, professional backgrounds and hailing from, or with knowledge of or connections to, different regions of Turkey. International expert speakers shared their knowledge and first-hand experiences of mechanisms and approaches that have been used to raise awareness, educate, encourage interest and a more positive approach, and support active engagement in conflict resolution and transition processes among the general public in the Philippines, Colombia, and South Africa. Speakers included Roelf Meyer, former Chief Negotiator for the South African Government, as well as Dag Nylander and Idun Tvedt from the Norwegian Ministry of Foreign Affairs, who drew on their experience as key players in Norway’s facilitation in the Colombian peace process. Participants also benefitted from the invaluable insights provided by Teresita Quintos Deles, former Presidential Advisor on the Philippines Peace Process and David Gorman from the Centre for Humanitarian Dialogue, which was a member of the International Contact Group in the Philippines. Participants also discussed and analysed their own lessons learnt from their experience as members of the WPC with insightful inputs from experts from the EU, experts on conflict resolution and speakers. The CSV was part of the project ‘Supporting inclusive dialogue at a challenging time in Turkey’, supported by the EU and the Irish, Dutch and Norwegian governments. DPI would like to extend its thanks to the Norwegian Ministry of Foreign Affairs for their kind support and assistance in organising and hosting this event. A full transcript report of the meetings that took place as part of this visit is forthcoming. Please refer to the gallery section of the website for photos of the events and to ‘In the media’ for media coverage.